Hire licensed bartenders for your wedding, private party, or corporate event! We are fully insured, professional, and help you with every detail. We are fully covered for liquor liability insurance, our portable bars can be staged anywhere, and our bartenders have decades of experience. We're here to help you craft the perfect cocktail menu and bar offerings for your special event! We do cocktail hour, and we do it well. 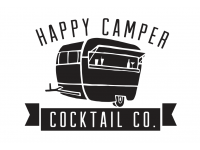 The Happy Camper Cocktail Company's mobile bartending service caters to receptions, outdoor weddings, business parties, and more. We produce intimate events for fifty guests or less, all the way up to corporate events serving thousands of guests. We bring the drinks to imbibe, the snacks to nosh, the desserts that beg to be photographed, and our unique mobile bars that start the party and shine as your event's centerpiece. Our seasonal cocktails are the freshest you can buy. Costs: See Pricing Options on our Website! Since we specialize in and focus on providing bar services, we help ensure that all of your event bar needs are on-par with every other stage of planning – and not just an add-on service that becomes a second-thought. We provide all of the necessary equipment and needs for successful bar services – including all bar-tools, bar set-up, licensing, and alcohol liability insurance, and also helping with alcohol selection of quantity needed and best types for all budgets and preferences. 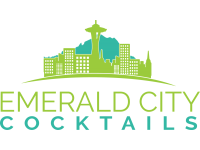 We are incredibly proud to be one of the few mobile bartending companies in Washington State to possess a liquor license, allowing us to provide the alcohol for your event. Whether your venue requires you to have a licensed bartender present or you’re looking to class up your party we want to make sure your guests have a safe and fun experience. All of our bartenders possess a MAST12 permit and are covered by our $1 million liability insurance policy. Have Cool Vintage Bar - Will Travel! We bring the bar and experienced bartenders to you. We provide the ice, garnishes, bar tools and water station (we do have limited glassware for an additional fee or you can rent glassware). You provide the alcohol and a day banquet license which can be found on the Washington state liquor board website for $11. We recommend one or two signature drinks for your event in addition to beer and wine. 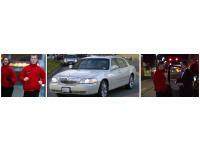 VPS provides a wide range of parking and transportation services, from the highest profile weddings and special events.